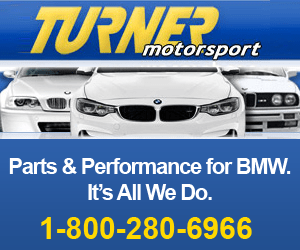 If the rear spoiler on your BMW is loose or is beginning to peel away from the trunk lid, then you are in need of a rear spoiler repair. I will be the first to admit that I always thought the rear factory spoilers on BMWs were “mechanically” attached to the body (ie: screwed or riveted on). I learned very quickly after purchasing my E92 M3 that I was wrong (once again); the factory spoilers are attached to the trunk lid with an adhesive. 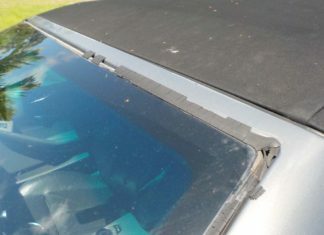 After only five years of use, my rear spoiler had begun to peel away from the trunk lid like a wet bandaid. It hung ominously off the rear of the car as I drove down the rode, giving BMW haters the photo fodder they needed to make fun of my M3 in their next Instagram post. I was in desperate need of a rear spoiler repair. 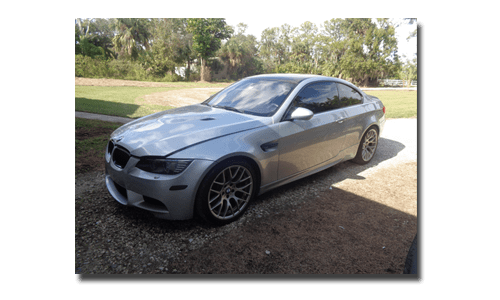 There are several ugly facts that you will need to consider when doing a rear spoiler repair on your BMW. Its disappointing that very few people address these issues in the countless videos and blogs on this topic. First, you are most likely going to have to replace the spoiler. 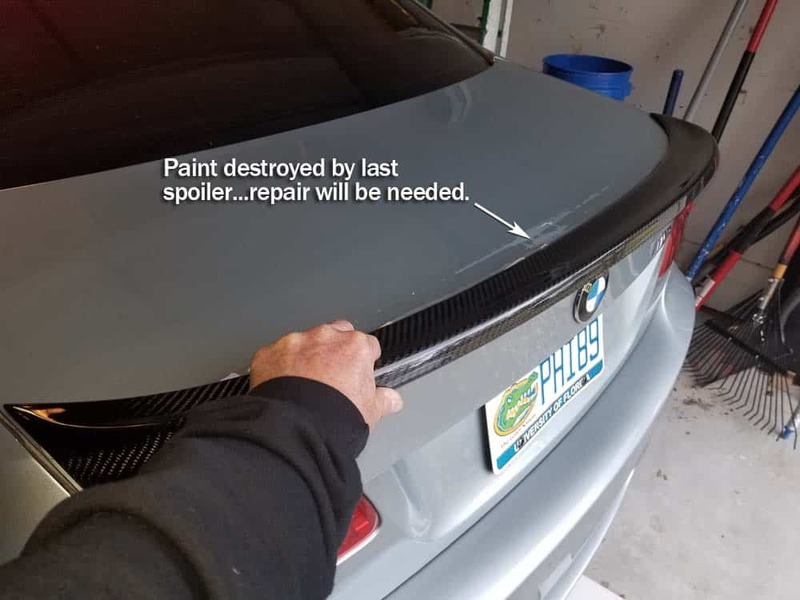 If the spoiler was attached with factory glue, it is going to still have the glue attached to it (and some paint, which is almost impossible to remove). Even if you attempt to remove it, it will take you so much time and effort it would be better just to purchase a new one. Trust us on this one. 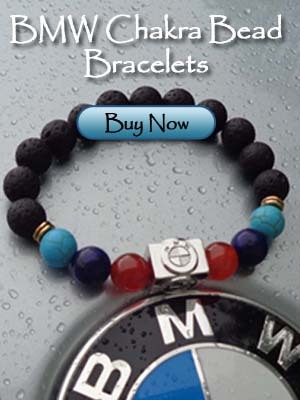 Sell the old one on Ebay or Facebook Marketplace to recoup part of your cost for a new one. Second, if your spoiler is attached with a factory adhesive your going to lose clear coat, and even some paint during the removal process. Sorry for the bad news, but that’s just a fact. Take that into consideration if you are planning on changing your spoiler design. 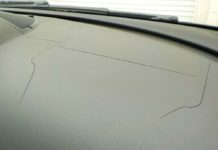 DO NOT USE THE 3M Adhesive Eraser Wheel to remove any old glue stuck to the trunk lid. The eraser wheel will also erase your paint…right down to the bare metal if you are not careful. 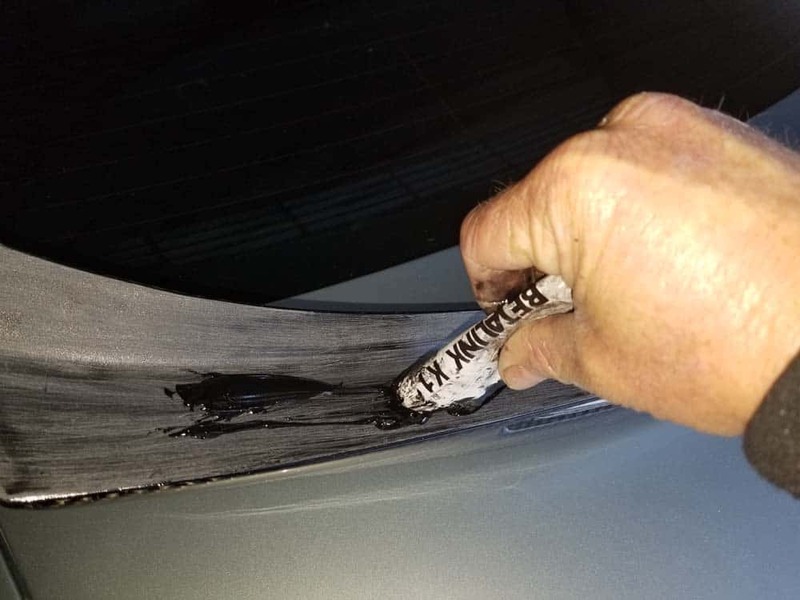 If the wheel slips while you are “erasing” the adhesive, you will be repainting your whole trunk lid. Last, there are many posts on the internet offering a plethora of adhesive alternatives (including two sided tape). 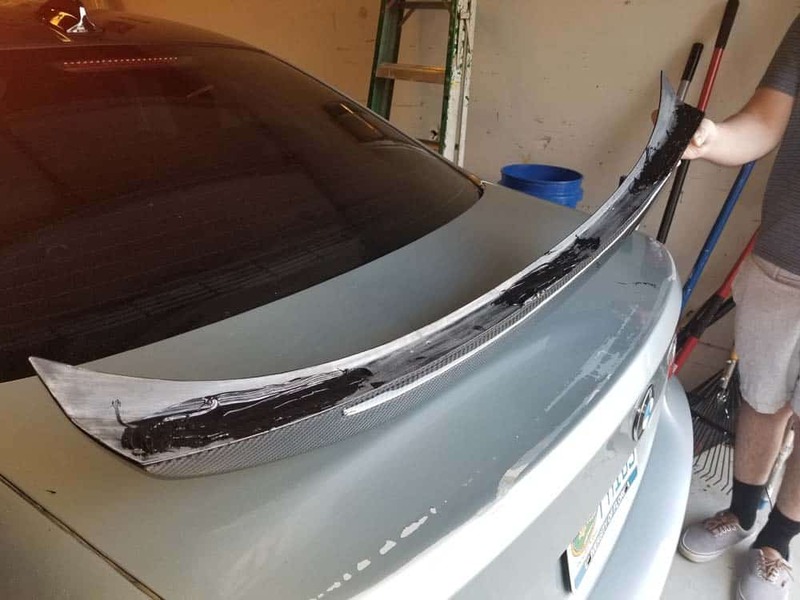 If you don’t want your rear spoiler flying off on the highway taking out the low rider Honda that’s been tailgating you for 10 miles, we highly recommend using a factory OEM adhesive. 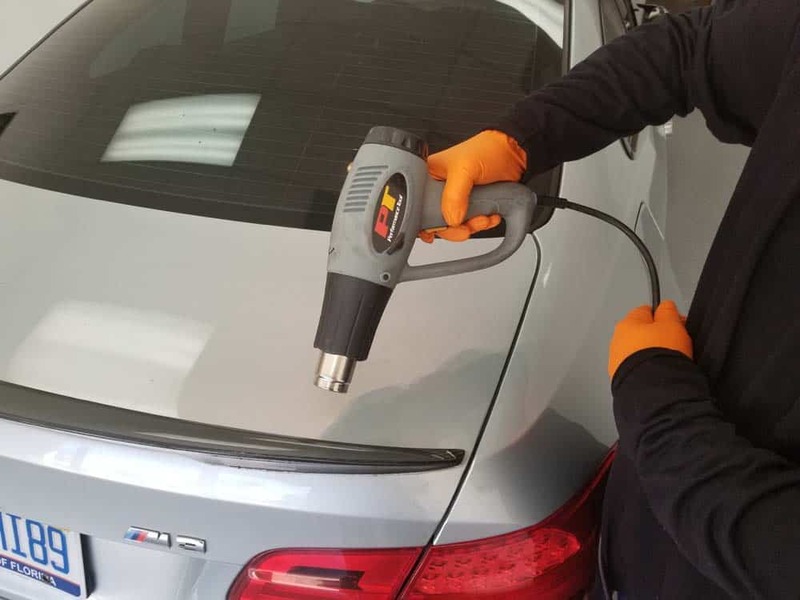 If you are going to perform a rear spoiler repair on your vehicle, the BMW Repair Guide strongly suggests you use Dow’s Betalink K1 polyurethane adhesive system. Click her for a brochure on Betalink K1 explaining the product in more detail. 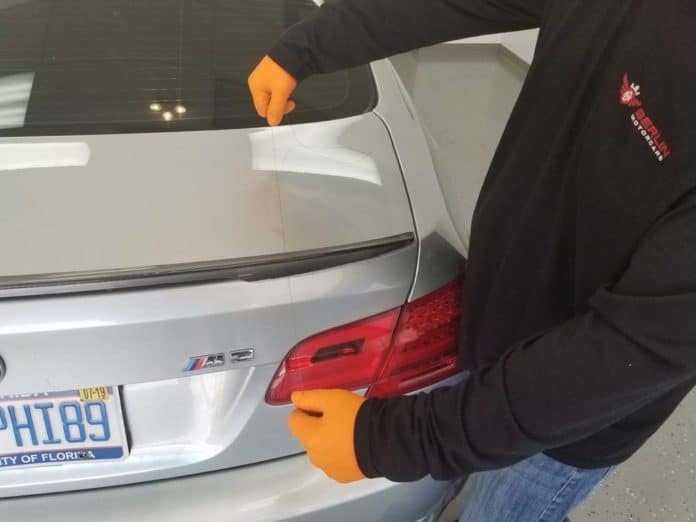 It is an OEM BMW factory adhesive that will give you years of confidence in your spoiler’s attachment to your vehicle. 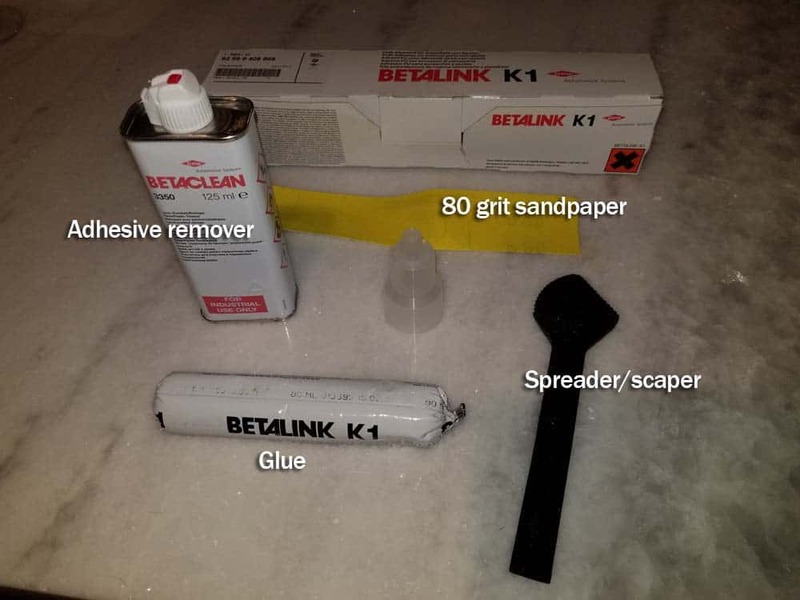 Click here to purchase Betalink K1 adhesive. 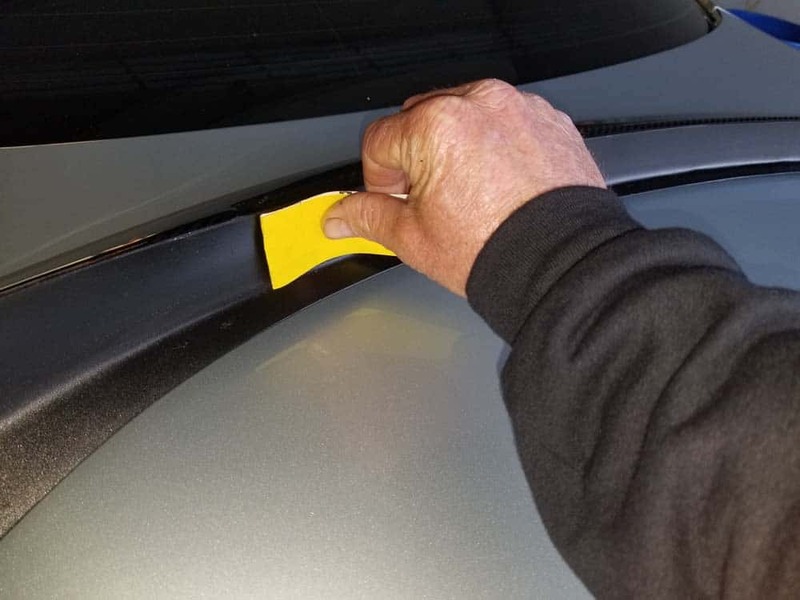 The most important steps in a rear spoiler repair are removal of the existing spoiler and the adhesive left on the paint (what paint you have left that is). 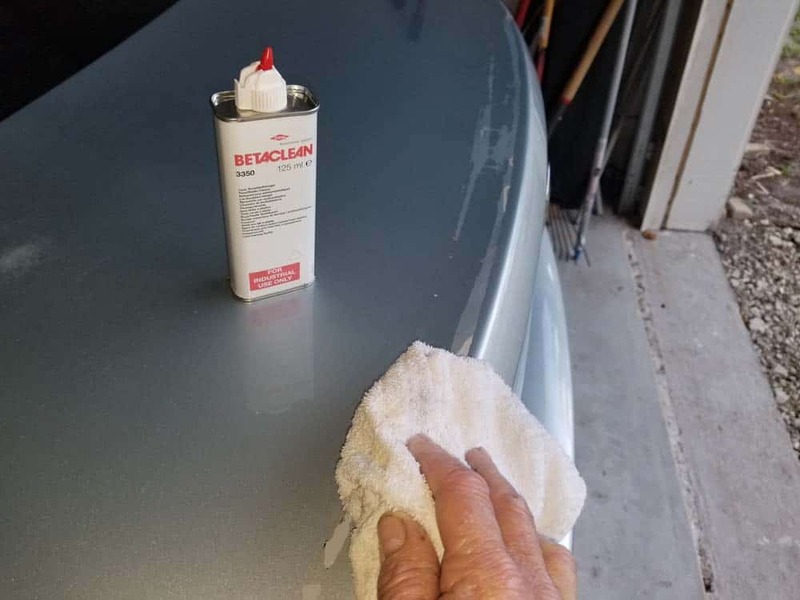 It is critical to use the correct removal technique so you don’t damage any surrounding paint that is not hidden by the spoiler, and that you are left with a nice clean surface. At the BMW Repair Guide, we have found that softening the underlying adhesive first with a heat gun then using 50 lb braided fishing line is the most effective method of removing the rear spoiler from the trunk lid. 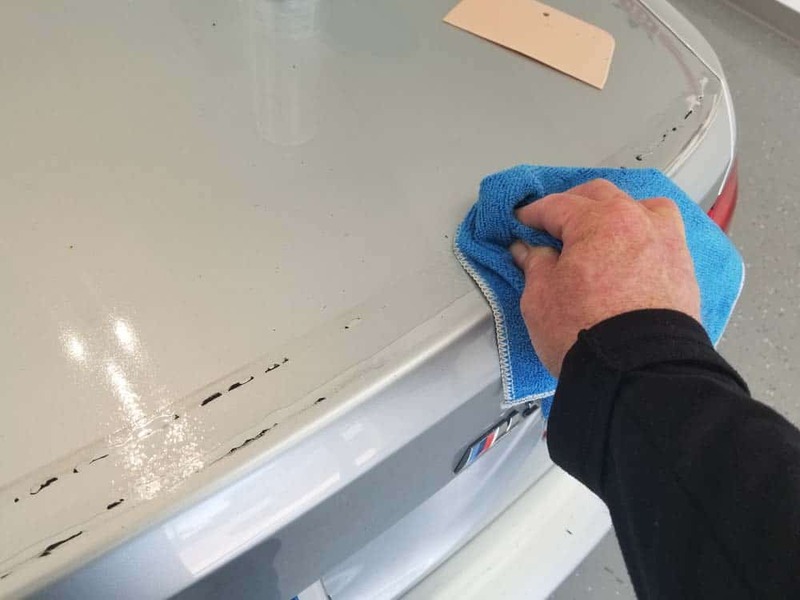 We then use 3M spray adhesive remover and a plastic scraper or plastic razor blade to remove the old adhesive from the paint. 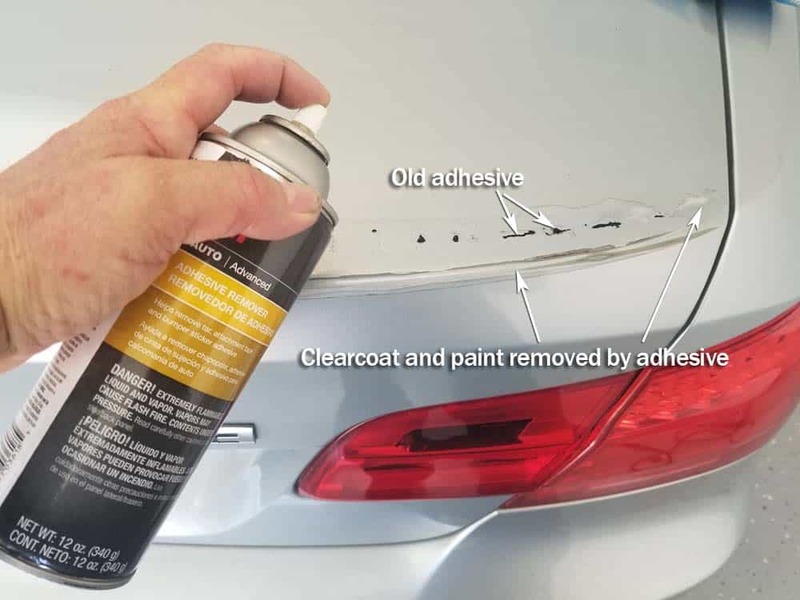 To begin the rear spoiler repair, use a heat gun to soften the existing adhesive under the rear spoiler. Use long sweeping motions, avoiding holding the gun in one spot for longer than a second. 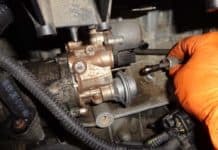 Use caution – the heat gun can damage your paint. If you use a slow sweeping motion down the length of the spoiler you will avoid any damage. Cut a piece of the braided fishing line approximately 48″ long. Using a back and forth “sawing motion” to quickly cut through the adhesive separating the rear spoiler from the trunk lid. Spray the 3M adhesive remover liberally over the remaining adhesive…let it soak for about a minute. Note the clear coat and paint damage from when the spoiler was removed. 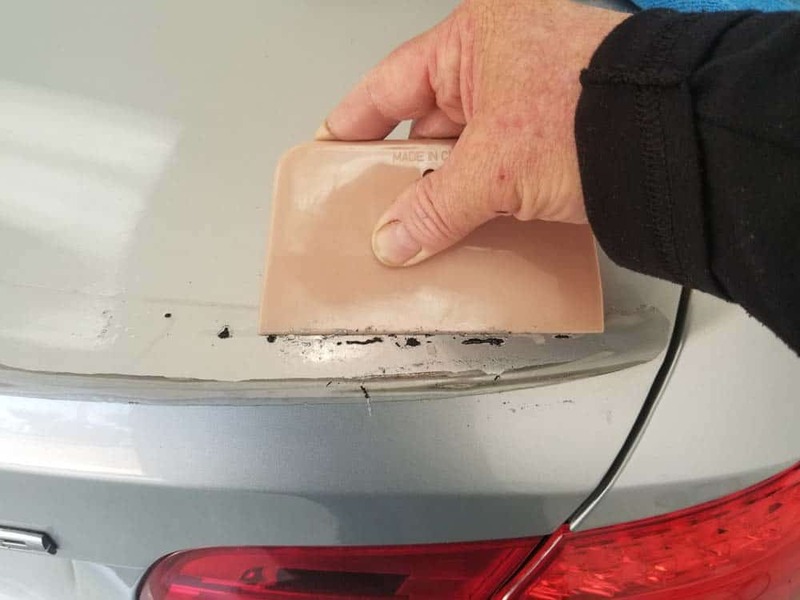 Use a plastic scraper or plastic razor blade to remove the adhesive and loose paint from the surface of the trunk lid. As you scrape the adhesive, use a microfiber cloth and some 3M adhesive remover to remove any residue that might be left over. Open up the rear spoiler repair Betalink K1 kit and make sure all of the contents are enclosed. 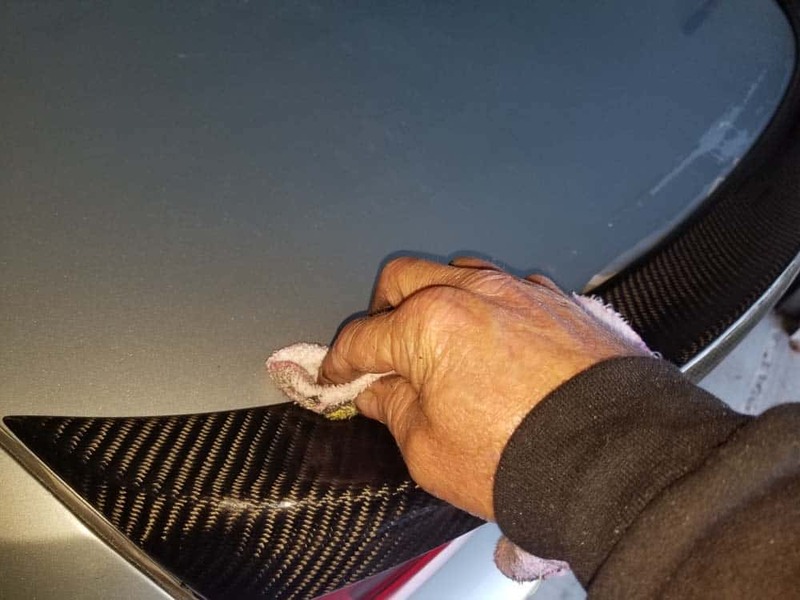 If you are replacing the existing spoiler (which is recommended), make sure it lines up properly with the trunk lid before starting the adhesive process. 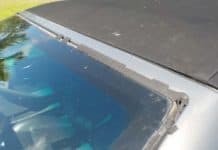 If you are using a different style spoiler like we are, you will most likely have paint damage that will need to be repaired. Don’t get upset over this…it’s an unfortunate consequence to removing factory spoilers. Sand the back of the spoiler with the 80 grit sandpaper. You just need to roughen it up so it adheres correctly to the trunk lid. 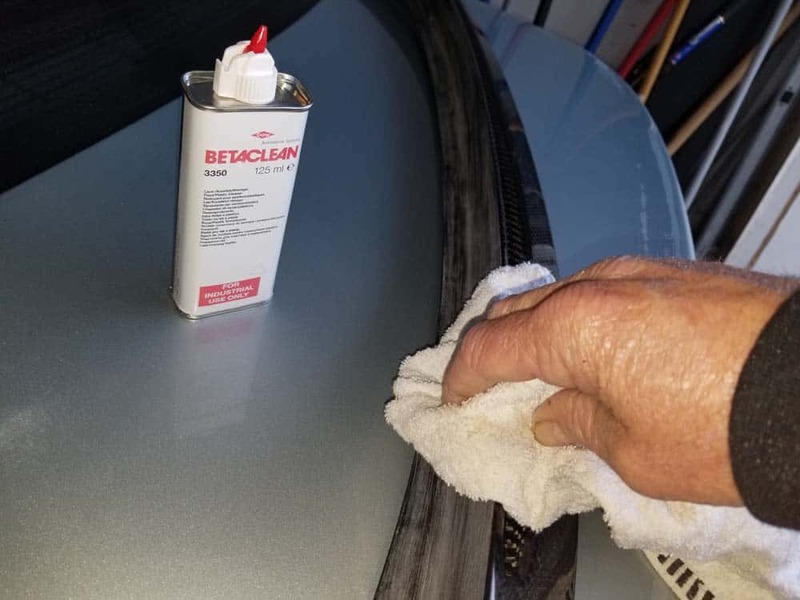 Clean the surface of the trunk and the back of the spoiler with the Betaclean 3350. Make sure to get all of the wax, grease and dirt off. Cut off the end of the adhesive “sausage” and apply to back of spoiler. We applied the adhesive in three places…both ends and the center. Use the inclosed plastic spreader to create a uniform coating. Set the spoiler in position. 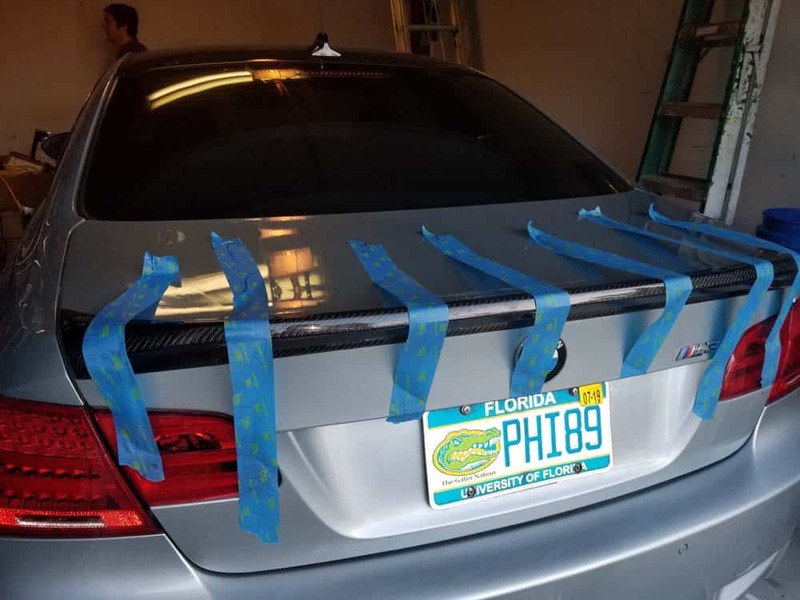 Use 3M blue or yellow tape to securely anchor the spoiler to the trunk lid. Use the Betalink 3350 and a clean rag to wipe up any excess adhesive. Let spoiler adhesive dry for five hours before driving the vehicle.